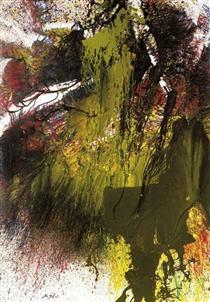 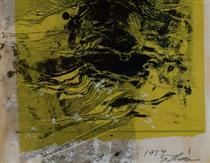 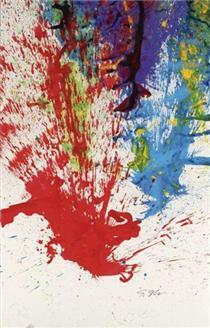 Shozo Shimamoto (嶋本 昭三, Shimamoto Shōzō, January 22, 1928 – January 25, 2013) was a Japanese artist. 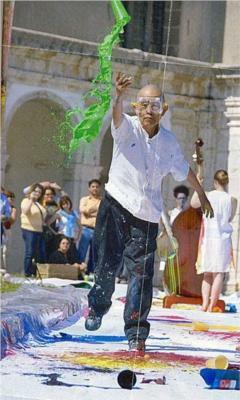 He was a co-founder (along with Jirō Yoshihara) of the avant garde Gutai group formed in the 1950s, and his works are in museum collections such as those of the Tate Gallery and the Tate Modern (in both London and Liverpool) and the Hyogo Prefectural Museum of Art in Kobe, Japan. 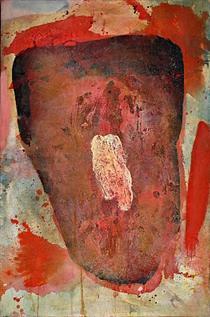 New York Times art critic Roberta Smith  has noted him as one of the most daring and independent experimentalists of the postwar international art scene in the 1950s. 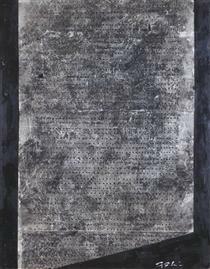 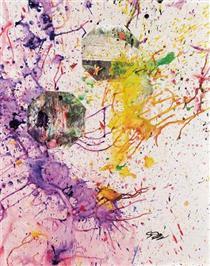 Internationally today he is especially noted for his work in the "mail art" genre, of which he was a pioneer. 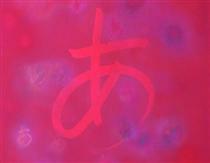 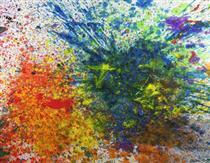 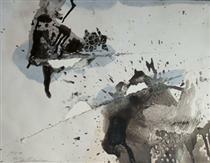 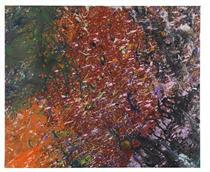 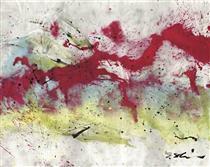 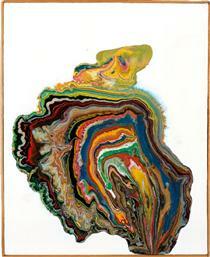 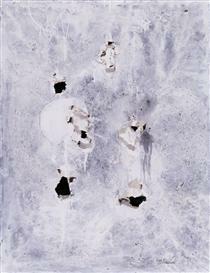 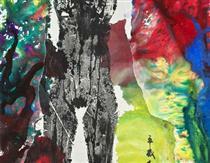 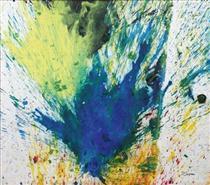 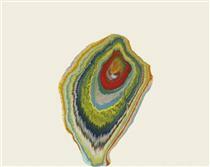 unknown title Shozo Shimamoto ?